conception and pregnancy are periods when it is essential to optimize health and nutrition, both for mother and baby. Research has shown that healthy pregnancies begin with good nutrition during preconception, and it is known that overall nutrition needs rise during pregnancy and breastfeeding. 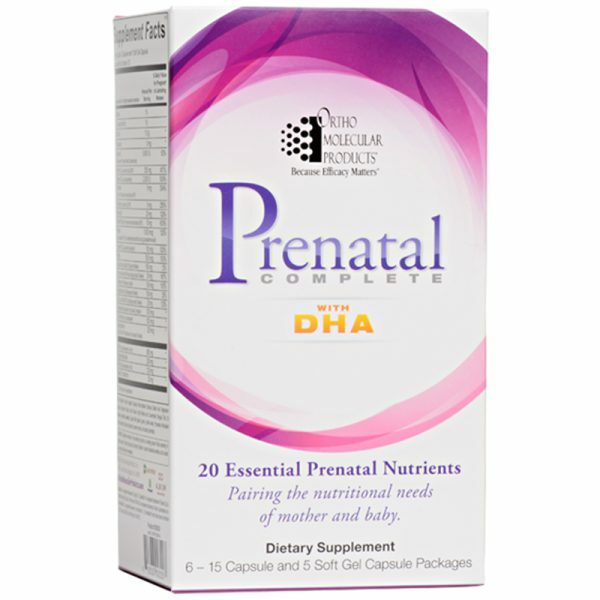 Prenatal Complete with DHA is a comprehensive, hypoallergenic, prenatal multivitamin and mineral blend to support healthy metabolism during pregnancy. 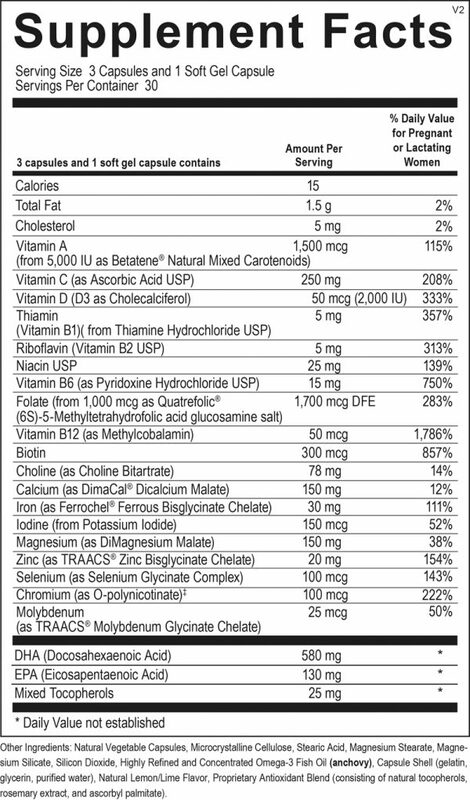 The formula includes folate as Quatrefolic™ – 100% 5-MTHF, the biologically active form of folic acid, to meet increased requirements for fetal nervous system development. It also includes USP B vitamins. Albion® TRAACS® chelated mineral complexes and Ferrochel® iron are included for enhanced mineral bioavailability and gentleness on the stomach. Suggested Use: 3 capsules and 1 soft gel per day or as recommended by your health care professional.